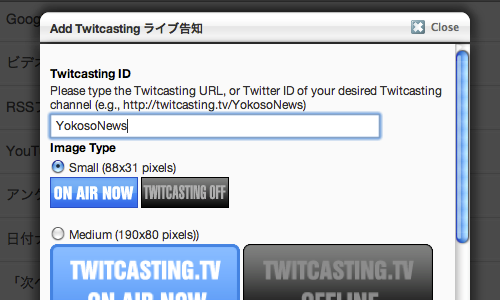 Twitcasting is the easy & light-weight live cast service using iPhone or Android. The ideal service for casual vloggers. 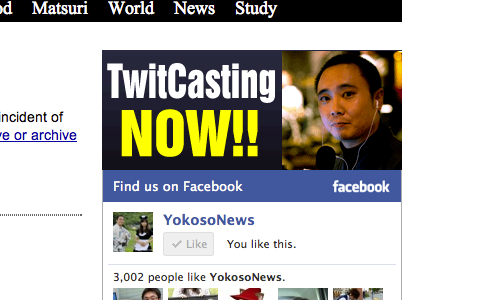 Personally, I think that Ustream is for more serious live caster; and Twitcasting is for casual day-to-day live casters. I made the simple add-on to display online/offline status of your Twitcasting channel and link it to your Twitcasting account. Download and test drive it. * This addon comes with Japanese language file. * The logo of Twitcasting was provided by Sidefeed, Inc. with the written permission. You can re-distribute this add-on BUT you MUST contact Sidefeed, Inc. if you want to use their logo. Twitcasting only allows one (1) IP address to retrieve online/offline status max. 60 requests per min. When you use this add-on, I highly recommend to ENABLE FULL PAGE CACHE!!! Proceed and execute "free check out"
If it doesn't work, your hosting provider may not support cURL or unzip PHP. You need to contact your hosting provider or do "manual install" instead. Proceed and execute free "check out"
DO NOT assign any project but click "Save"
Upload the folder /katz515_twitcasting_live_status/ onto /package/ directory. 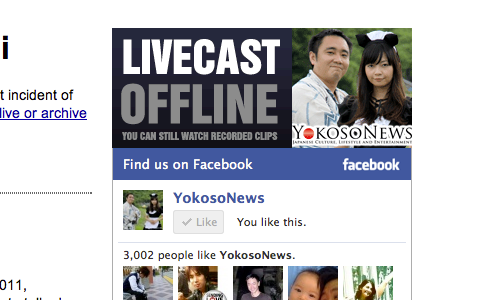 This plug-in is USELESS unless you have twitcasting account and live cast it frequenctly. 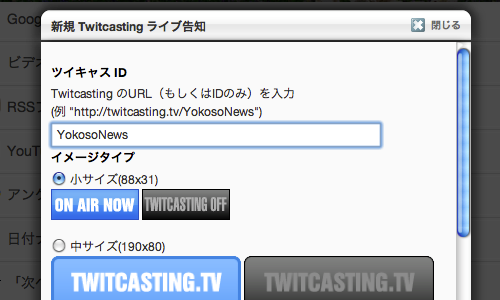 It's very fun live cast tool. You should try it. Also check my other addon, "Ustream Status Simple" It does the same thing for Ustream. I made the wordpress plug-in. Check it out. But concrete5 version is much better.